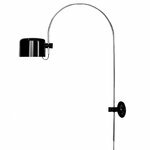 Designed in 1967 by Joe Colombo for Italian lighting company Oluce, the Coupé 1158 wall lamp combines a softly shaped, lacquered aluminum reflector with a slender and curved metal stem. Designed as a variation of Oluce’s Spider lamp, the Coupé has kept Spider’s stem and base. The simple mechanism connecting the stem to the head makes it possible to easily control the direction of the beam. A well-known classic of modern design, the Coupé won the 1968 International Design Award and it is part of the permanent collections of New York’s MoMA and Munich’s Neue Sammlung museum. Joe Colombo (1930–1971) was an Italian industrial designer who became known for his futuristic style and interest for multi-functional, modular systems. After studying painting and architecture in Milan, Colombo worked actively as a painter and sculptor before starting his career as an industrial designer in the 1950s. 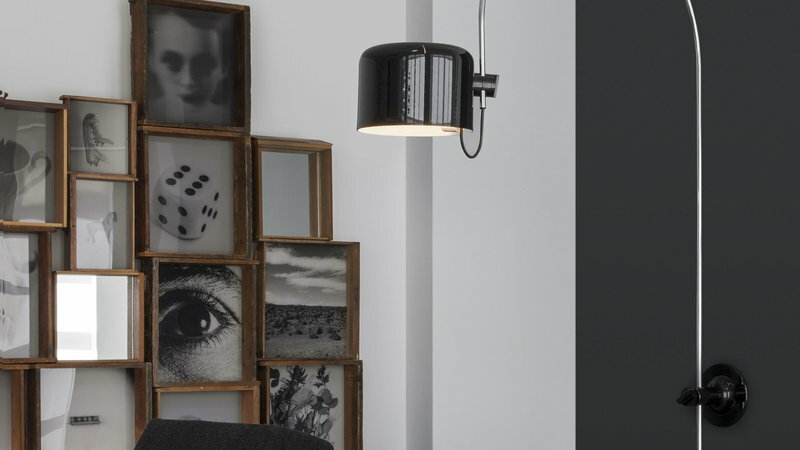 His best known works include minimalist lamps designed for Italian lightning company Oluce and the plastic Boby storage trolley. His work has been exhibited at many museums, such as New York’s MoMA.